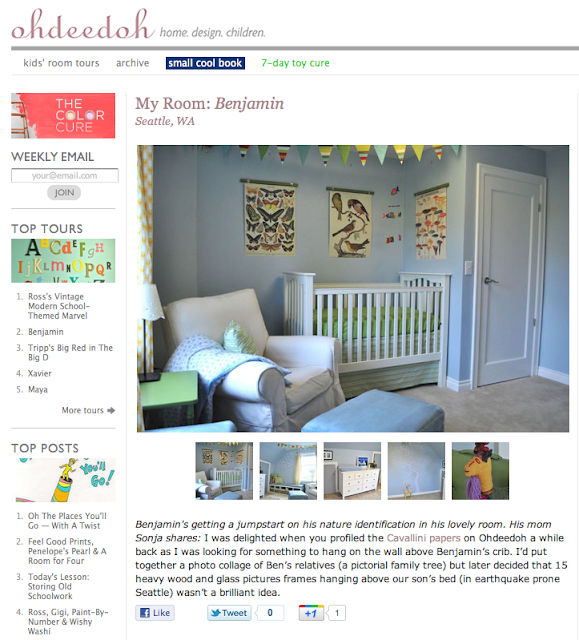 Benjamin’s nursery was just featured on Ohdeedoh.com! If you have found our wee little site through Ohdeedoh, welcome!! Oooh. That's super cool Sonj - your blog has hit the big time! :) Congrats!